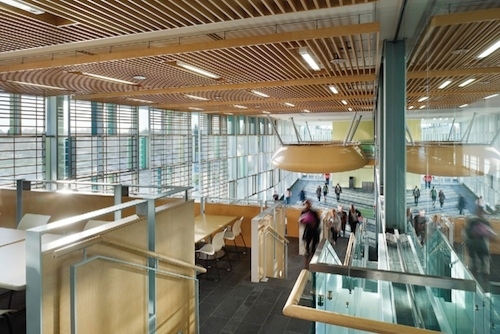 Toronto, ON – May 28, 2012 – ITC Systems has confirmed a partnership with Algonquin College that has resulted in a bilingual campus-wide e-commerce system that is substantially more efficient, practical and cost-effective than the offline stored value smart card solution that was in service. ITC Systems has decades of experience in campus card solutions for colleges and universities, and company CEO Campbell Richardson says he’s honoured by the Algonquin College decision to bring its business to his company. Mr. Richardson says he expects it will take time to consolidate Algonquin’s existing systems and implement new contactless payment technologies that are consistent with those coming on-stream in the world of retail. The project involves snack/beverage vending, bookstore purchases, dining purchases, printing/copying, and other e-commerce transactions. For the ultimate in convenience the students and their parents are able to add value to the students account online using a debit/credit card. Algonquin’s choice of the ITC Systems Multiplan Gold online student account solution means students will have one card for all transaction payments across campus. The MiFare contactless card will function like a debit card where transactions are recorded in real-time through an online account hosted by the university. Students will also be able to check their account balances at any time through the web, while administrators can obtain the technical reports they need online. Mr. Richardson says the ITC Systems’ team and the Algonquin project team is looking forward to working together this year and beyond. Algonquin College of Applied Arts and Technology was established in 1967 and was named after the First Nations people who lived in the area. Algonquin was formed from the merger of the Eastern Ontario Institute of Technology, established 1957, and the Ontario Vocational Centre, established 1965. The College celebrates 45 years as a leader in post secondary education, and has undergone significant growth since its establishment and continues to grow today. All three Algonquin College Campuses are set to undergo major expansion projects. The Perth and Pembroke Campuses are building all-new facilities and the Woodroffe Campus now features a new and innovative award-winning trades building. ITC Systems serves colleges, universities and a host of other market segments by providing products and services focused on campus ID card privilege control, access control, and copy and print control. The company also offers card-related products and services for food service, laundry and other institution-wide sectors. Founded in 1989, ITC Systems maintains a large dealer network throughout North America and internationally, and it is the industry’s dominant Original Equipment Manufacturer (OEM). To learn more about ITC Systems, please visit www.itcsystems.com.